The fox is a shy animal and one I've rarely seen. Foxes have a bad press as they are often seen as thieves. They are natural, omnivorous scavengers and can make a meal out of almost anything. Although they usually hunt alone, they tend to live in family groups. 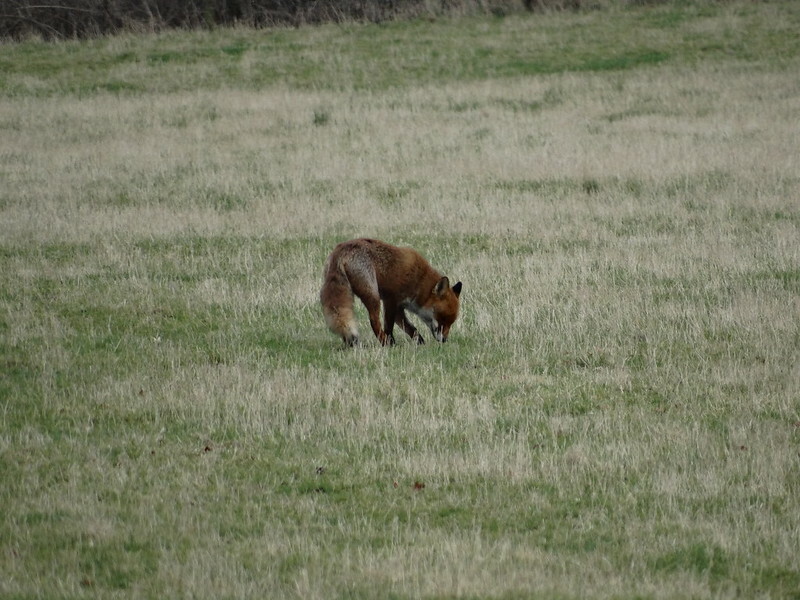 I had the good luck to spot one in a field near my house while out on a walk today. I was very surprised to see one out in broad daylight so I suspect it must have been hungry! I think foxes are beautiful creatures and I wanted to share my photo with you!